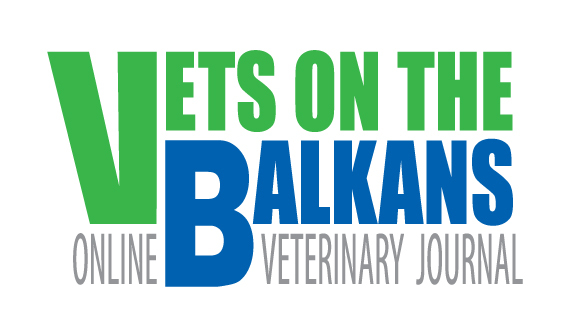 PETCODE Veterinary Hospital on the Balkans….. is it real? 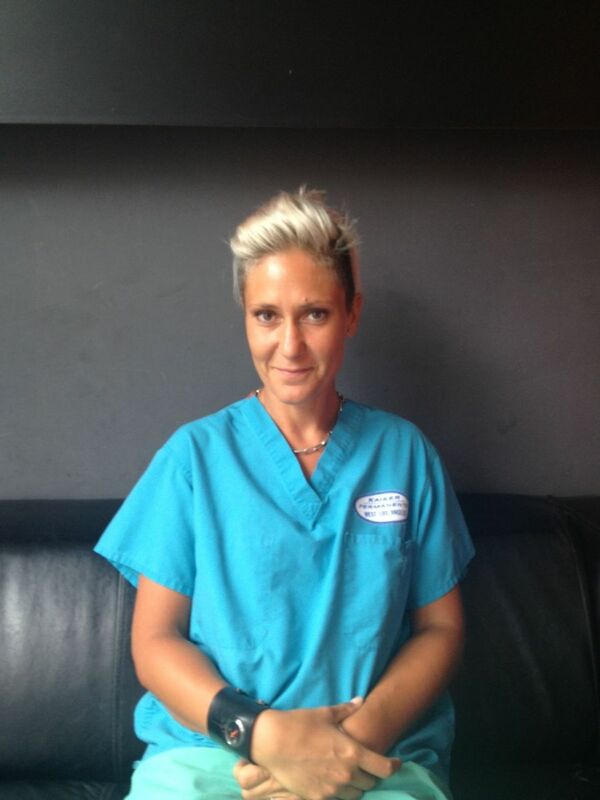 Just before starting to make our new animal hospital I asked my collegues to write me about their dreams. I was not wondering what we can do, I was wondering about a small animal practioner’s dreams . It is not easy to understand the meaning of these dreams for a vet working in Germany, Holland or England but I am sure you can understand how important this is for us. In countries like Turkey or in Balkans, there is always some thing is absent while we are practicing. I asked the same question to some of my patient owners. I was sure that as the people who love their pets they would also have dreams about a perfect hospital. I knew that it was impossible to make a perfect hospital but I believed that all these dreams will guide us to create a close one. Now I will try to tell you about Petcode, the sum of our dreams. 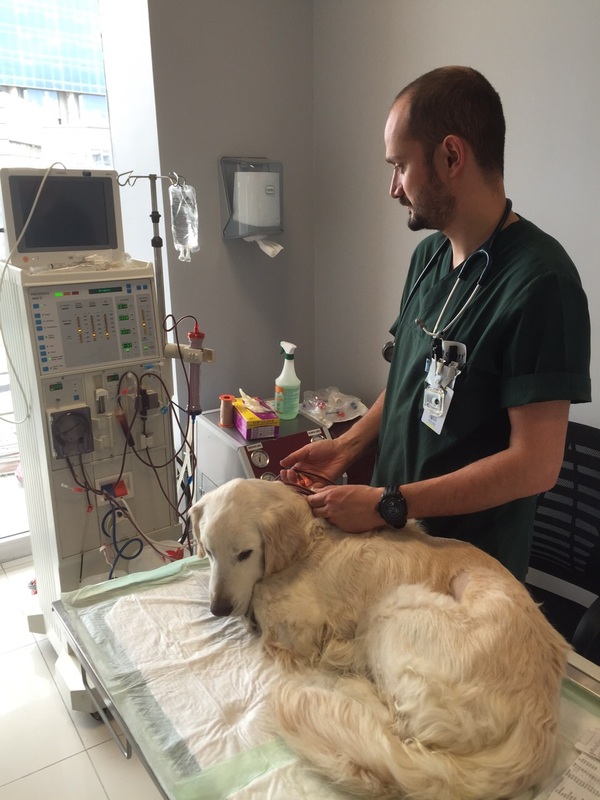 Our Petcode Animal Hospital is serving in a 1400 square meter building and it is physically the biggest animal hospital in Turkey. We are using 2 different entrance and 3 separate parts in Petcode. In polyclinics section you can find our account office, secretary and information desk, pharmacy, a wide waiting room with different waiting areas for dog and cat owners, two examination rooms for dogs and two examination rooms for cats, physical therapy and rehabilitation service with a hydrotherapy pool, hemodialysis unit, pet coiffeur and meeting room. In hospital section we have emergency entrance, emercency waiting and examination room, computered radiography, colored doppler ultrasonography, electrocardiography and office rooms, hospitalization section, central examination room for hospitalized patients, reanimation rooms, oral health and dentistry unit, surgery preperation room, half sterile room and full sterile operation room. You can enter our hospital’s third section with our elevator and here you can find computered tomography, restaurant and, changing rooms for our staff, laudry and storage. In PetCode Animal Hospital we believe that “ Cats are not small dogs ” and with this policy we divided our wide waiting room to 2 parts, one is for dog owners and the other is for cat owners. There are 4 routine examination rooms in our hospital and 2 of them is for cats and 2 for dogs. Dogs are never alouded to enter cat examination rooms just to reduce the stress of cats. We have special hiding places in our cat examination rooms so when they jump and escape from the examination table we never try to catch them because we already know where they will enter. “Physical Therapy and Rehabilitation”(FTR) is one of the most popular branches in veterinary medicine all over the world. The high percentage of geriatric animals among the pet population,and the important tendency of dogs and cats to obesity is increasing the risk of osteoarthritis. Osteoarthritis creates the main need for physical therapy and rehabilitation in most cases. The increasing number of advanced surgeries we are performing is also increasing the demand of patient owners for a better and faster recovery period. 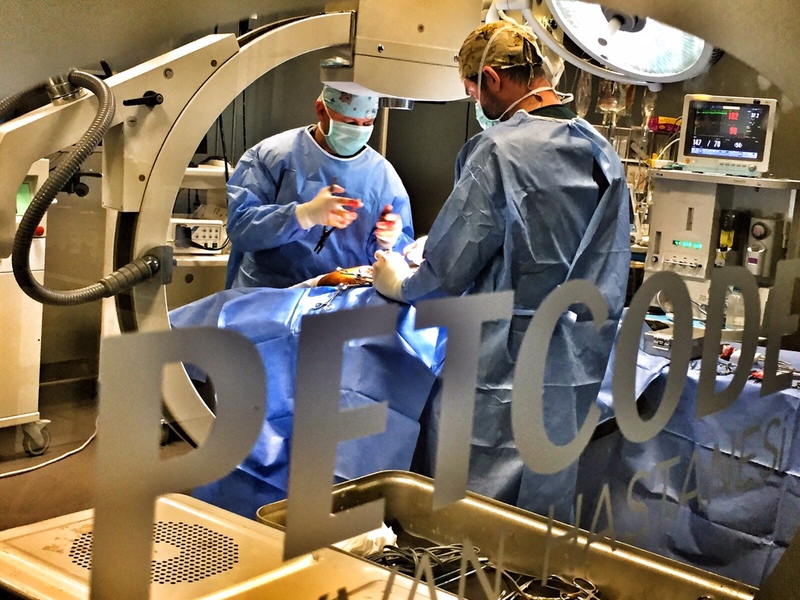 So physical therapy and rehabilitation is becoming more and more popular every year and of course we made a big investment for FTR in PetCode. 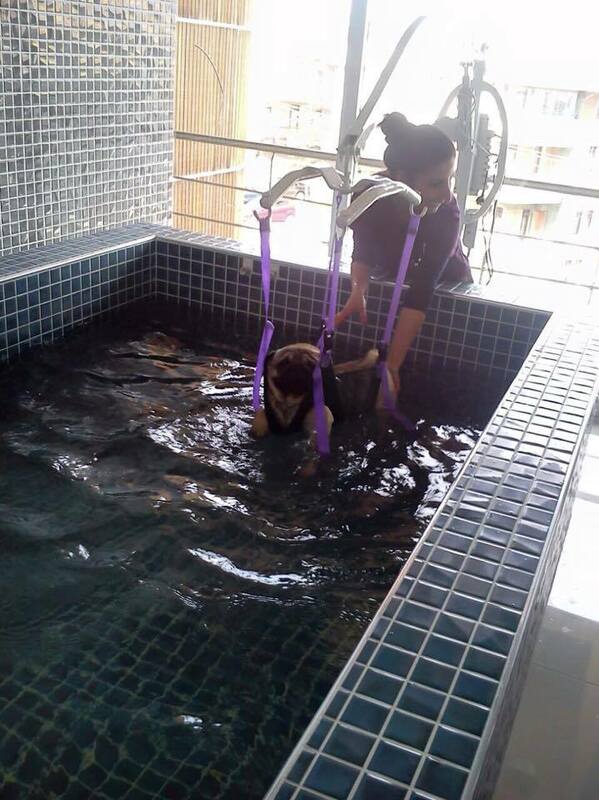 Our hospital has a hydrotherapy pool supported with a lifting crane for paraplegic animals. We have a gait analysis system which shows given weight to each extremity quantitatively . Our treadmil, electrotherapy, therapeutic ultrasound, laser therapy and laser acupunture systems are the other feautures of Petcode FTR service. 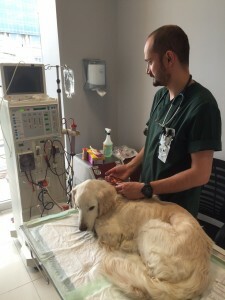 Petcode Hemodialysis Service is the only hemodialysis chance for dogs in Turkey so patients with kidney failure and differenttoxications are coming to us everywhere from Turkey. Of course keeping a chronic renal failure patient alive just with hemodialysis is so expensive and not efficient and logical most of the time but we are mostly helping acute renal failure patients successfuly. 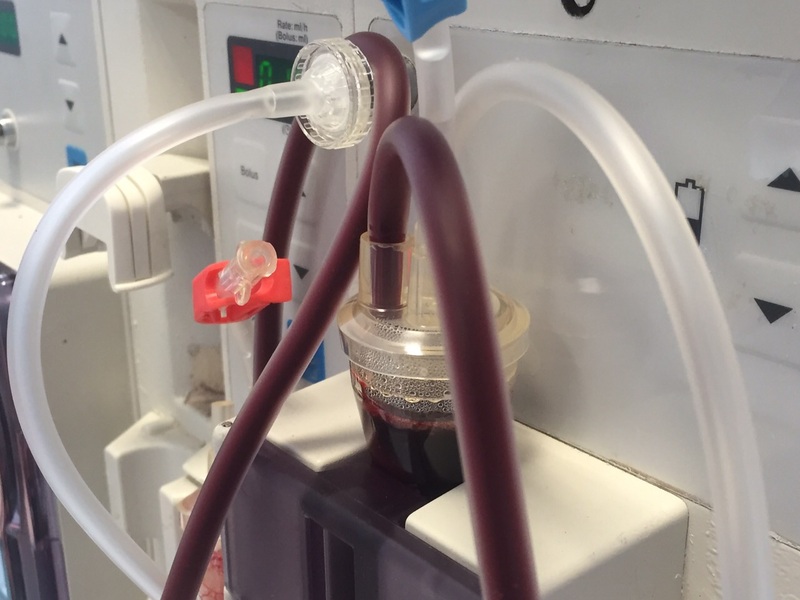 Our hemodialysis machine is just suitable for patients over 15kg and we are performing peritoneal dialysis for our smaller dogs and cats. 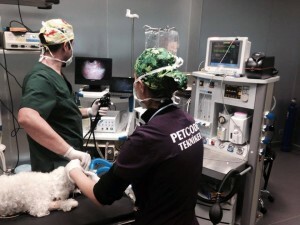 According to American Animal Hospital Association veterinary dentistry creates the biggest income for every small animal practice in USA and in Petcode we made a serious investment for veterinary dentistry. We are not only performing tartar cleaning and teeth extractions we are also using intraoral cameras, taking x-rays, performing fillings, coverings and implants. In PetCode we are closing our polyclinic section everyday at 20.00 but emergency entrance is open for the rest of the night with an on duty veterinarian and a veterinary technician. 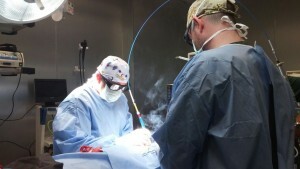 When we had a surgical emergency we always call all our surgical team and perform the surgery. During day time all our staff pass the hospital section door with a card reader. Our patient owners are not alouded to enter to the hospital section by themselves and even for visiting for their patiens we always guide them. They can pass to hospital section just with special plastic overshoeses, galoshes. Because of our huge street animal population Turkey is a heaven for all kinds of infection diseases and in PetCode we are fighting with hospital infections seriously. We are using hepafilters in all risky points, all our cages are made from chrome-nickel steel for better disinfection, and they all have full glass doors to prevent the spread of infections via splashig, coughing, sneezing. We keep patients with infectious diseases in an isolated room. We are always trying to obey high standart disinfection and sterilization rules everywhere in the hospital. Oxygen is life and in PetCode we produce our own oxygen with a very special system and we safely use this oxygen in our anesthesia machine, intensive care units and everywhere in our hospitalization section. Our hospitalization service has 4 sections. We keep our patients with all kinds of infectious diseases in our infectious disease room. Our staff enter this room with special outwear. There is a special antibacterial plastic curtain in the entrance of this room which keep the infections inside and we are using special hepafilters for the ventilation so that possible infections are not entering to the general ventilation system of the hospital. When we have patients that we are not sure about their health and vaccination status we keep them in cages in our quarantinedepartment until we feel sure that they do not carry any kind of infectious disease to our other visitors. In our regular hospitalization section we have 2 parts and of course one is for dogs and the other one is for cats. All these parts are openning to a central examination room and we carry our patients here for their regular applications. 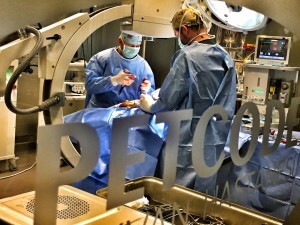 In PetCode we are able to perform almost all kind of surgeries. 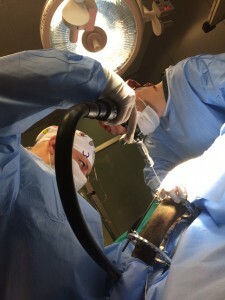 We are doing a lot of brain and spinal surgeries,total hip replacements, tuberositas tibia advancements, tuberositas tibia transpozitions, eksteranl fixators, vertebral stabilisations, ventriculoperitoneal and syringosubarachnoid shunts, different types of reconstructive and oncological surgeries, and eye surgeries including phacoemulsifications. All these advanced surgical procedures give us a big responsibility as well.
. If you are planning to perform that sort of sophisticated and advanced surgical procedures , of course just good surgical skills are not enough for these plans. 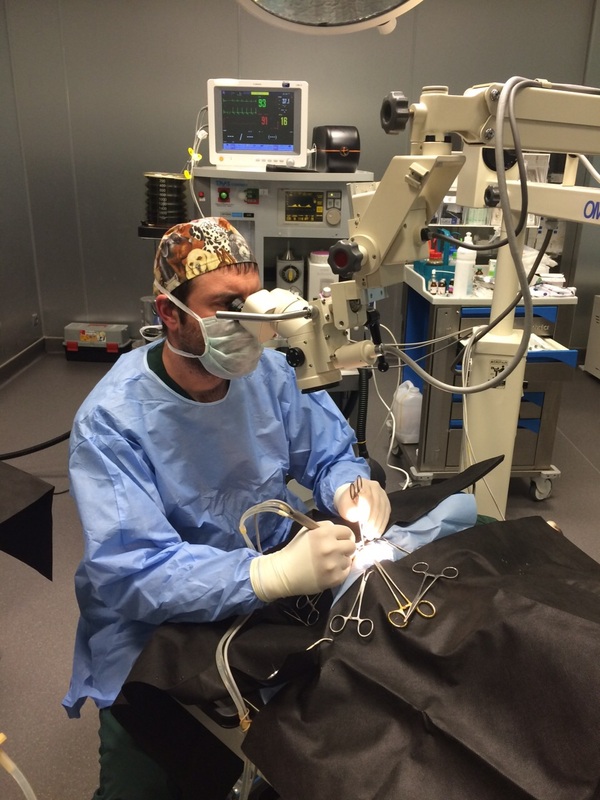 You need experience, a good team, perfect medical equipment and a very sterile surgical room. That is why Petcode brought “Full sterile operation room term” to Turkey. We enter to our operation room through a half sterile room always with head caps and masks. Floor surface of our operation room is made from esd conductive, antistatic and antibacterial material. Our walls are covered with chrome- nickel steel because bacterial contamination of this material is diffucult and disinfection is always easy. Ventilation of this room is special because air is entering to the room through hepafilters and a system always aspirates the dirty air inside the room again through hepafilters so there is always positive pressure inside the room and air entrance is limited even we are openning our doors during enterance. Our surgical room is also full of state of art medical equipments that allow us to perform all kind of surgeries. 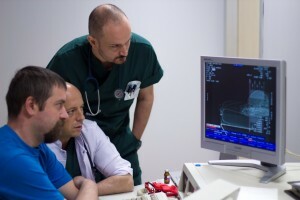 Petcode is the one and only private animal hospital that has its own computered tomography machine in Turkey. 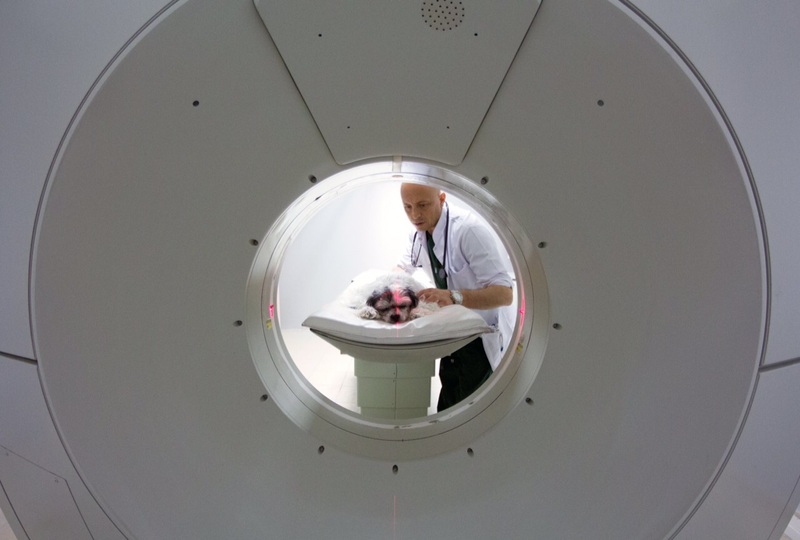 With the help of our three dimentional reconstruction programmes we use, we are able to obtain very high qualified images almost compatible with high field magnetic resonans images so we can diagnose several neurological and oncological problems easily. As you can see, PetCode Animal Hospital is the biggest investment done for small animal practice in Turkey but we are still dreaming about a perfect animal hospital with our lives coded to animal love,and veterinary medicine. The clinic is located in Sesvete, near Zagreb, Croatia. The intention and desire is consolidating in one place high level of diagnostic and treatment. Practice is among everything, related also to orthopaedic and neurosurgery of referral patients. Misssion is to give service to the owners and patients all over the world, and always to send back to referring colleague. 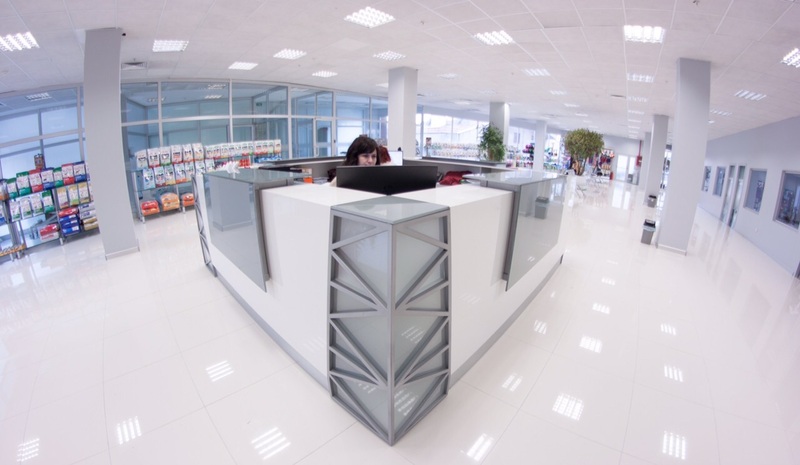 Also it is the only one private emergency center that provides all services 24h/7days per week in Croatia. The clinic is cooperated with specialists from Europe. 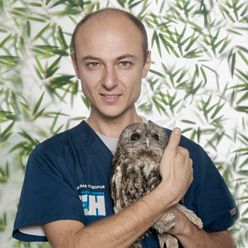 Names like Edoardo Auriemma, DVM, DipECVDI, Instituto Veterinario di Novara, Italy and many others, are talking about high level of professional. Also, there is physiotherapy center that give the opportunity to their and referral patients to recover after orthopaedic and neurosurgery. The center include hydrotherapy, ultrasound therapy, electrotherapy , acupunctura and therapeutic exercises. 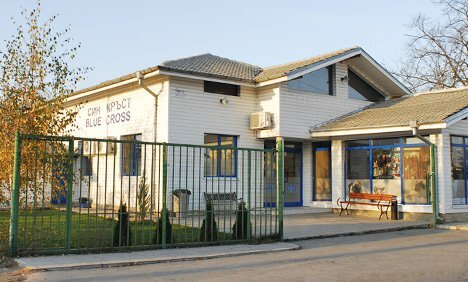 In this clinic we can see high level of professional and we can take it nowadays as a model for a good veterinary practice on the Balkans. 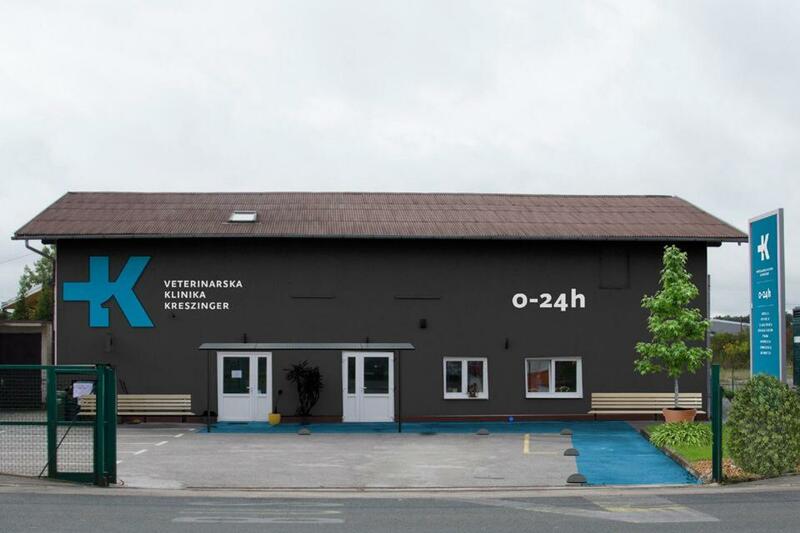 We are proud of you,Veterinary Clinic Kreszinger! 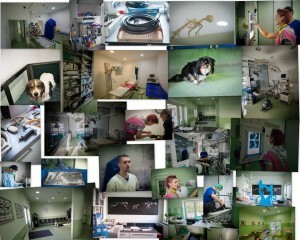 Veterinary clinic “Blue cross” is a 24 hour Small Animal Hospital working without a day off. It is one of the biggest and modernly equipped veterinary clinics in Bulgaria. They use the most up to date equipment available for emergency care, surgery and laboratory activity. 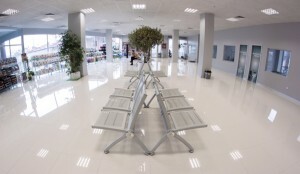 On area of more than 400 square m.,are disposed: waiting room and reception, two consulting rooms, laboratory, x-ray and ultrasound department, surgery room, intensive care unit. 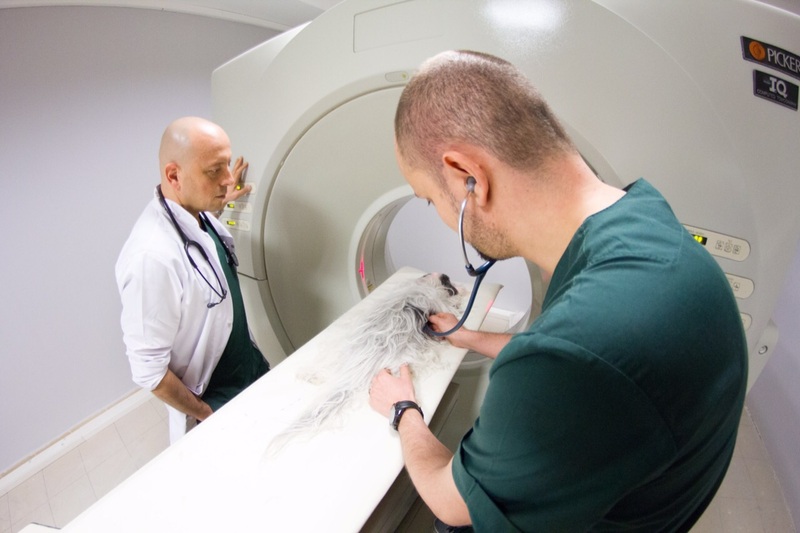 The clinic has highly qualified team who follow and visit during the whole years courses, seminars and congresses all over the world, in order to be up to date in the newest in veterinary medicine. is born on 10.2.1976 in Sofia. He graduated in University of Foresty, Sofia, Bulgaria. 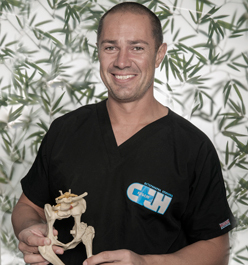 Specialist in Hip Dysplasia (CHP) and is a member of GRSK (Geraman association of radiologists for hereditary diseases of small animal skeleton). In 2010 he recieved a diploma as an expert in elbow dysplasia. Dr.Georgiev and his team are the first in Bulgaria who made a total hip replacement in dog. Dr.Cokev is born 27.11.1984 in Sevlievo. He graduated University of Foresty. 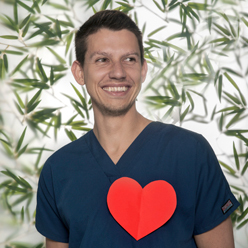 Professional interests: cardiology and echocardiolography, internal medicine. 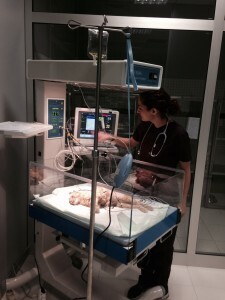 In 2010 he finished course of clinical echocardiography held by one of the leading experts in the world. is born 02.12.1985 in Dobrich.